which includes dams on both the Columbia and Snake rivers. KENNEWICK, WA -- About 3,000 people rallied on the Tri-Cities cable bridge in February 1999 in response to a proposal to remove the four lower Snake River dams, a fairly new idea at the time. 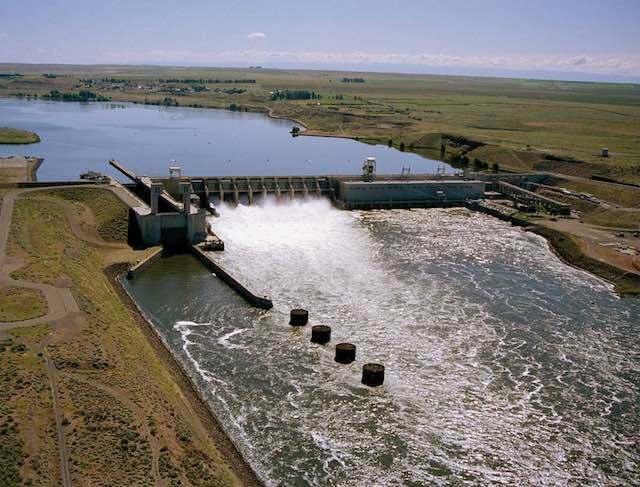 Nearly two decades later it seems time to remind the public again of what the dams mean to the Eastern Washington economy and way of life, according to supporters of keeping the dams. But this time, organizers plan a festival with information about the Federal Columbia River Power System, which includes dams on both the Columbia and Snake rivers. A coalition of agencies that support or rely on the dams have planned RiverFest 2018 in the east end of Columbia Park in Kennewick from 11 a.m. to 3 p.m. Sept. 8. "There is a time and place for a rally," said Colin Hastings, chairman of RiverFest and chief executive of the Pasco Chamber of Commerce. "We want a different way to get our message out." The Wanapum Band's Native American Discovery Unit, a 38-foot-long motor home with exhibits on Wanapum culture and heritage, will be at the festival. The Benton Conservation District will have a "river maze" for visitors to walk through with a message of coexistence of rivers and dams. The Whooshh salmon "cannon" will be demonstrated. It uses a flexible, pressurize tube to give salmon a boost over dams so they can swim upstream to spawn. Organizers say the festival will provide information about the Northwest's clean and low-cost hydropower and the billions of dollars invested in the dams to help improve salmon migration survival rates. Downtown Kennewick's Best of Summer Fest will be Sept. 8. Activities from 8 a.m. to 2 p.m. at Keewaydin Park include a pancake breakfast, burger and hot dog lunch, BMX demonstration and corn hole tournament. Kid's Duck Conservation Day also is planned 9 a.m. to noon Sept. 8 with activities related to wildlife conservation planned at the McNary National Wildlife Refuge's Environmental Education Center. It's at 64 Maple St., Burbank.